Are you looking for premium quality wreath frame but always end up finding worthless products? With BB Crafts, you won’t ever need to move anywhere else, as we present to you a wide collection of finest quality wreath supplies. 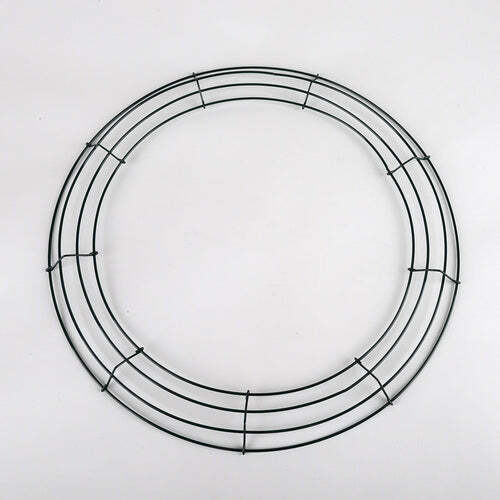 Order wreath wire frames online here at cost-proficient prices. Whether you are looking for a 16-inch wreath wire frames or 24-inch inch wreath fire frame, here on this portal you will get different sizes of frames to full-fill your needs. The deco mesh wreaths frames are developed from finest grade materials are provide complete durability and efficiency for the user. Used for a wide range of purposes, like decorating them with flowers, decorative papers, ribbons, fruits, lights, etc., these are ideal to full-fill your needs at your home or at any event venue. It can be used as a decorative constituent for your place in a number of innovative ways. In terms of quality of the products, you will not get any reason to make any sort of complaints. So, hurry up and start ordering.